I live for holidays where I can take time away from teaching and spend a lot of time reading for pleasure. This author was new to me. I was asked to read the third book in this series. I must read the others before it to really get the flavor of the book. I have to say I really enjoyed this mystery. 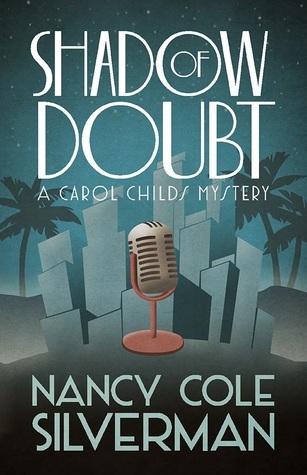 We have the main character Carol Childs who is trying to move up in the world of radio as a news reporter. We have her FBI boyfriend who is trying to solve the case in which he finds his girlfriend in the middle. We have Carol’s friend and neighbor who’s Hollywood agent aunt has just been murdered. Finally, we have a psychic with the name, wait for it, Misty Dawn. I love it. 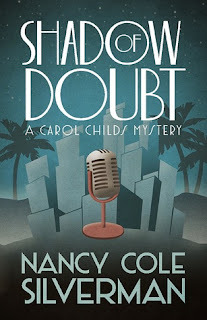 Carol is not one to really trust Misty, so why does she follow the clues she gives her? Simple, Misty seems to know so much about Carol’s personal life. Carol’s neighbor doesn’t seem all that broken up about her aunt’s death. Inheriting everything puts her as the number one suspect. All of this would seem like your normal mystery. This author does an excellent job of adding other characters to the mix that make them seem just as plausible as the murderer. Every time I thought, ‘Oh this one must be the murderer’ another curve was thrown. My list of possible murderers was beginning to stack up. She did such an excellent job of fleshing out each character and making them and their story so believable. I really enjoyed this book and look forward to reading the second one Beyond a Doubt. 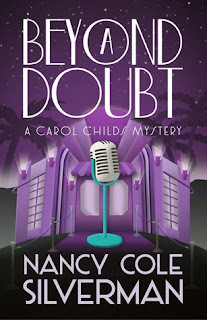 This is the second book in the Carol Child’s Mystery Series. The further we go into this book the higher the level of suspense. This author definitely knows how to write. Once again we find our radio reporter knee deep in a case. 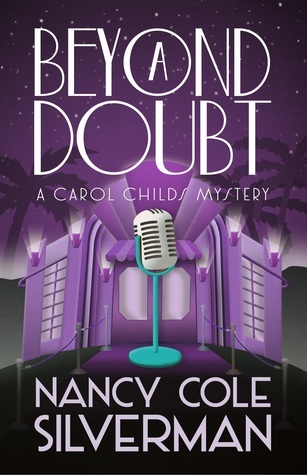 Young women have begun to disappear and a young girl’s body is dumped in Hollywood. Carol figures out early on why the girls are disappearing, and that it is not only rich white girl. This one becomes more personal to her. A friend and co-worker goes missing. Her daughter is placed in danger. She thinks she knows who is behind it and the fact that they have a lot of influence makes her job of proving their guilt and the reasons behind it even more troubling and dangerous for her and her family. What made this book even better than the last one was that the events in this book are happening today. People like to turn a blind eye and pretend it doesn’t happen ‘here’. The action in this one moved even quicker. It didn’t matter we learn early on who the guilty party is. Knowing this bit of information and watching Carol do her best to prove it is what made this book so deliciously good. I believe it was better than the first book which I really enjoyed. I will definitely be reading and reviewing the third book.